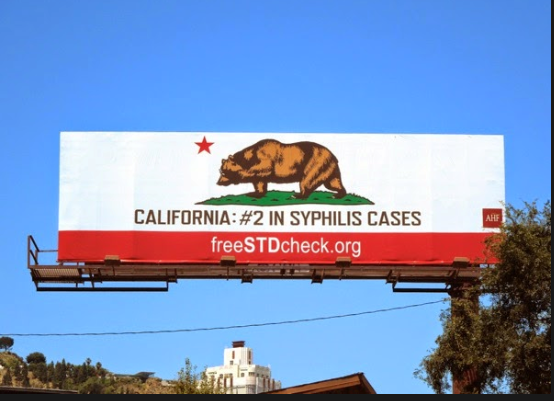 California may be #2 for syphilis cases, but don’t let that silver medal status discourage you. There is plenty of syphilis to go around, especially in LA. Los Angeles County came in first place for the total number of syphilis cases reported from 2003-2012 for individual cities and counties. Every day on my drive to work I see that billboard. Every day in my office a patient wants screening for sexually transmitted infections and asks about syphilis because they’ve seen the billboards too.